Phil Ivey is involved in another baccarat “edge sorting” lawsuit. Can he win?… If you thought Peter Eastgate was generous by donating his 2008 WSOP bracelet, then consider that Phil Hellmuth just gave away 11 of his… Cyril Mouly survived a deadly attack, where his driver was stabbed to death. Was his sketchy past the reason for the attack? Let’s discuss this question and more in the Weekly Flop. Ivey being sued for $9.6m by Borgata – will he win this and the Crockfords Lawsuit? As many have heard, the Borgata Hotel Casino & Spa are suing Phil Ivey for $9.6 million in baccarat winnings. They contend that Ivey used edge sorting to beat them throughout four high stakes baccarat sessions in 2012. The lawsuit also names his accomplice, Cheng Yin Sun, and the card-deck manufacturer, Gemaco Inc. If you’re familiar with the Crockfords case, where Ivey is currently suing to get £7.8 million in punto banco winnings, he basically used the exact same techniques to win there too. Edge sorting involves spotting tiny manufacturing flaws on the back corners of cards. Apparently, Ivey discovered that there was a faulty deck(s) in play at both Crockfords and the Borgata. He also had some help from Sun because she accompanied him to the table and told the dealer to rotate cards 180 degrees. This was done under the banner that Ivey is superstitious, although rotating cards really just makes it easier to spot the manufacturing flaws. Now, both the Borgata and Crockfords allege that Ivey used fraudulent means to beat them. And while it appears that the 9-time WSOP champ went far beyond simply looking for card-manufacturing flaws, is what he did really any worse than card counting? Just think of the movie 21, where players formed well-trained teams in a deliberate attempt to count cards and fool casinos. So unless Ivey somehow placed faulty decks in circulation, or there’s something in the story that we’re not hearing, it’s hard to see how he’s much different than card counters. 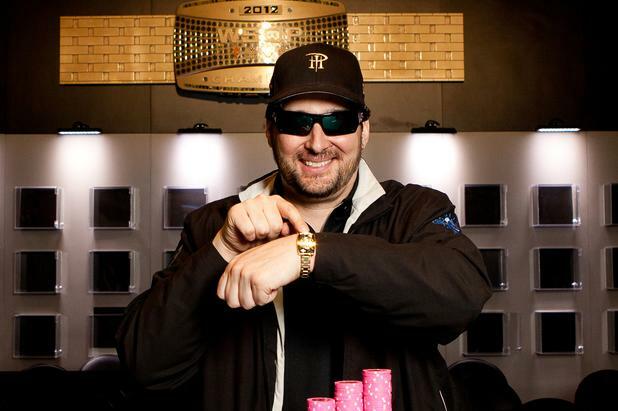 Phil Hellmuth has been called a lot of things in his career – self-aggrandizing, attention seeking, a jerk – but generous normally isn’t one word used to describe him. However, people may want to rethink this after Hellmuth tweeted of how he’s given away 11 of his WSOP gold bracelets. It’s been a while since we’ve heard Cyril Mouly mentioned, and his name isn’t resurfacing for a good reason today. The Full Tilt Million Dollar Cash Game participant returned to his apartment building with his driver after a party in Paris. They were confronted by two helmeted assassins who both had knives. Mouly’s driver attempted to hold them off while the high stakes poker pro ran to the nearest police station. When the police arrived, they found the chauffeur lying on the ground with a dozen stab wounds. The 60-year-old man died just a few minutes later. As of now, no motive has been released for the crime and we only have speculation to go on. But a good place to start looking for a motive is Mouly’s sketchy past, which involves his 2011 indictment for “organized fraud” and laundering money for gangs. The Frenchman has been on house arrest ever since, and both he and his driver were among 30 defendants in the case, which went to court last month. Letting the speculation fly, maybe the attack was to keep Mouly quiet, or even arranged by somebody who was defrauded?